Added by Marc Russinoff on August 22, 2016. 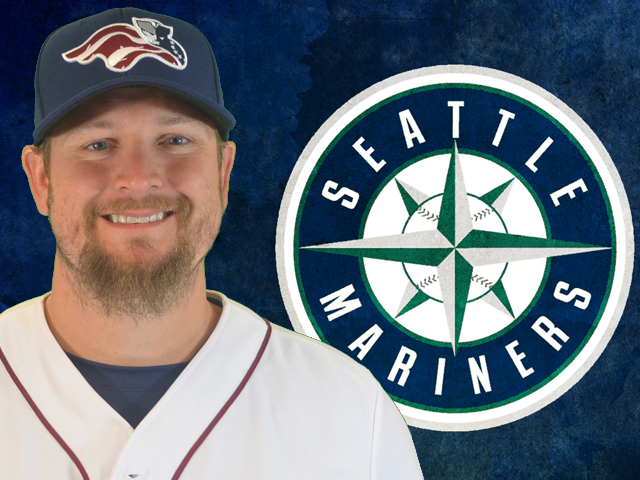 Bridgewater, NJ- The Somerset Patriots have announced that left-handed relief pitcher Brandon Sisk’s contract has been purchased by the Seattle Mariners organization. Sisk was named an All-Star this season for the Somerset Patriots, finishing with a 1.94 ERA and 62 strikeouts over 46.1 innings pitched in 45 games played. Prior to joining the Somerset Patriots, Sisk had seven years of minor league service, including five seasons in the Kansas City Royals organization. There, he reached Triple-A with Omaha in 2011 and 2012. In 2015, the Palestine, Texas native appeared in 35 games for the New Jersey Jackals of the Can-Am League, going 5-1 with a 2.14 ERA and 60 strikeouts over 46.1 innings pitched. Sisk owns a career 28-26 minor league record with a 2.78 ERA, 44 saves and 554 strikeouts over 492.1 innings of work. He will join the Mariners at the Double-A level. He is the third Somerset Patriots player this season to have his contract purchased by a Major League organization, joining Gus Schlosser (Los Angeles Dodgers) and Darin Gorski (New York Mets).